Yummmm! 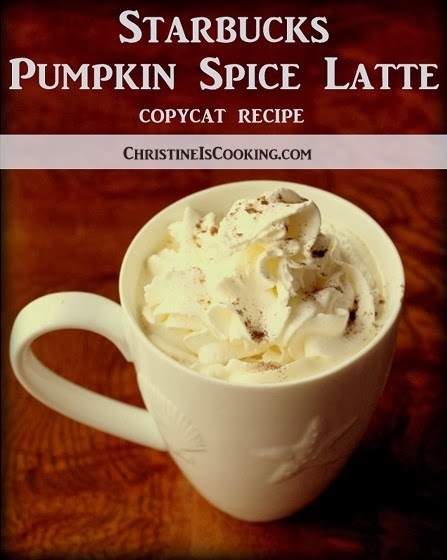 This Starbucks Pumpkin Spice Latte copycat easy to make and tastes great all year round. (1) In a large coffee cup mix the sugar, vanilla, pumpkin pie spice and espresso. This should be nice and hot so your end latte is hot. If your coffee has cooled a bit heat it in the microwave before adding the milk. (3) Add the frothed milk to the other ingredients and gently stir the latte. Top with sweetened whipped cream and a sprinkle of additional pumpkin pie spice. *If you don't own a frother, you can still make this drink. You can replace the frothed milk with heated milk. This is the frother I own. Its fantastic! Its easy to use and dishwasher safe.